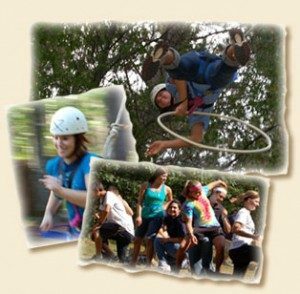 What is the Rotary Youth Leadership Academy (RYLA)? The RYLA Conference is a 3-day leadership training opportunity that focuses on the personal and professional development of high school students. Leadership skills, concepts and metaphors are explored through participatory outdoor-based activities that include trust building and relationship exercises, problem-solving initiatives, and low and high challenge course experiences. Since 1999, The District 6220 Rotary Youth Leadership Academy(RYLA) program has grown to become one of the most impactful programs of Rotary service. Each year, almost 100 students with leadership potential attend an all expenses paid conference to learn leadership through practice. Rotary clubs throughout the district select participants and facilitate the event’s curriculum. When and where does RYLA take place? 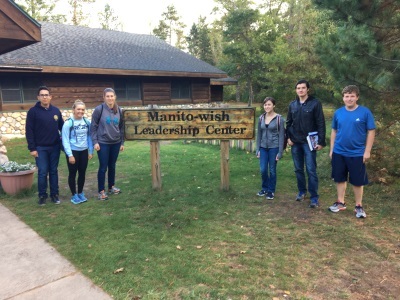 The RYLA Conference takes place at Camp Manito-wish YMCA in Boulder Junction, WI. The 2018 RYLA Conference will take place Friday, September 29th through Sunday, September 30th . Participants, the leaders of tomorrow, deserve the opportunity to be exposed to the principles of leadership that are learned not inherited. The RYLA Conference provides an enjoyable and valuable experience for those who meet the challenge to lead from their hearts. This conference is dedicated to helping individuals be the very best they can be, to leave after only three days feeling refreshed and driven to have a positive impact on the world. Encourage, assist and train selected youth leaders in leadership – to help them realize their potential and how powerful and impactful they can be. Publicly recognize the commendable qualities of the many young people who are already starting their journeys in making a difference in the world around them. Demonstrate Rotary’s investment, respect and concern for youth. Learn and practice the fundamentals of collaborative leadership. Understand the importance of heart felt communication. Build confidence (in self and others) and self-esteem. Practice problem solving and conflict management. Examine the ethics of positive leadership. Transfer leadership skills and create an action plan for their future. RYLA is free for participants. The Greater Portage County Rotary Club and the Stevens Point Rotary Club together sponsor eight future leaders per year to attend RYLA. Rotary members volunteer to take you to RYLA and will also bring you back home. There is no transportation cost for you. "When I went to RYLA I didn’t know much about it, which is how it was supposed to be. I didn’t really know why I was going. It was mostly because it was free, it was only one weekend, and I thought maybe I would learn something. Before going I read the testimonials on the website and RYLA was described as “life changing” and “life saving”. I was skeptical about how much I would actually learn, get out of it, and how life changing it could because it was so short. I arrived and it took a few hours to warm up to the camp, but once I did I was amazed. It was about 4 hours in and I already knew that I didn’t want the weekend to end and that I wanted to return as a facilitator. The activities that we were doing were so fun yet so educational; Everything we did there had a purpose and we didn’t even realize we were learning until we talked about the activity afterwards. I learned so much about myself, leadership styles, how to lead, and working with others. RLYA gave me the self confidence and tools to lead and take what I learned back into my community. When I arrived I met many strangers, but a mere two and a half days later I was saying goodbye to some of the greatest people I have ever met and friends that I will keep in touch forever. I am truly grateful for everything RYLA has done for me and my peers. I hope to return to RYLA next year to pass on what I have learned to the next group of participants. I want to express my gratitude to the Rotary Club for sponsoring me for this amazing life experience." The next Rotary Youth Leadership Academy will be held September 28 – September 30, 2018. If you would like to be considered for participation in RYLA and meet the criteria specified below, please contact Volker Gaul (volkergaul@gmail.com) to begin your application. If you attend another high school, please contact your local Rotary club to apply for RYLA participation. Must participate in a presentation to the local Rotary clubs after attending RYLA.